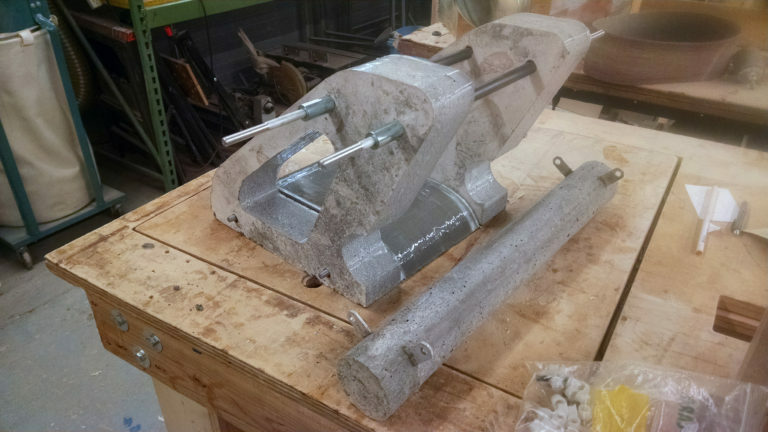 Coffee Table Raises & Lowers with Concrete Counterweight and Base #CNC « Adafruit Industries – Makers, hackers, artists, designers and engineers! Chicago’s Pumping Station One hackerspace member shua built a coffee table that raises and lowers with a pronounced concrete counterweight mechanism. You can see more build shots and read about his process here. I like furniture that can flex or modify it’s position to address different needs. 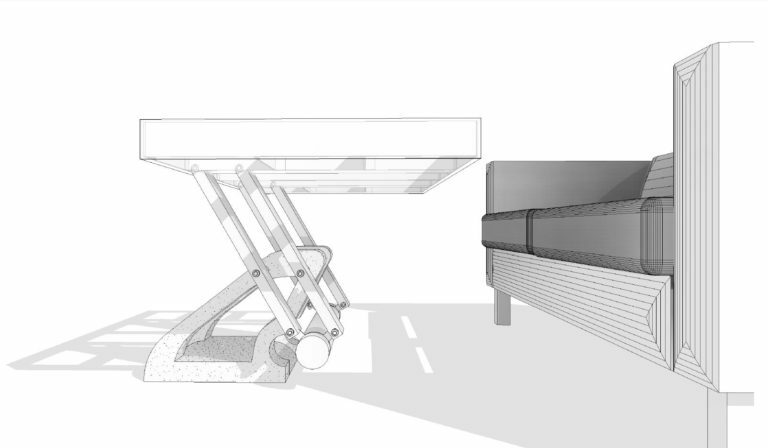 I’ve seen coffee tables that raise to eating height before, but I wanted to design one that really expresses the mechanism and plays up the physics behind it. I realized it wasn’t going to be stable enough with just one set of arms, so I decided two sets would still look good. Everything was designed in Autodesk Revit. The software allows you to figure out volume, then with a given density of materials I could get weights from the various parts. This allowed me to determine the balance. I didn’t want it to be perfectly balanced with the counter-weight, but have enough weight to assist the movement.